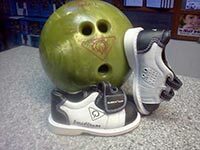 The Bowladium Family Fun Center is open daily with 16 synthetic lanes for league and open bowling and features a fully equipped pro shop and an arcade. The restaurant on site offers lane-side service, and the Back Alley cocktail lounge has a full bar, beer, pool table, Karaoke nights, sports TV and seasonal parties. 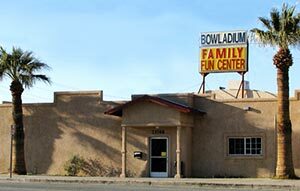 Located downtown Twentynine Palms across from the Post Office on Gorgonio Drive, off Adobe Road. Open 11 a.m. to 10 p.m. Sunday to Wednesday, 11 a.m. to midnight Thursday, Friday, Saturday. Back Alley bar is open 11 a.m. until 2 a.m. Subscribe to receive eNews on upcoming events in 29!